No matter what size warehouse you have, setting up your warehouse layout can be a time intensive process. Although it is possible to use the warehouse browser to manually add additional sections, you may have thousands of these and that equates to a lot of mouse clicks. Adding a section manually is best used when you have a requirement to quickly create a new section on the fly. For example, if you received a delivery larger than usual and you quickly needed to create an additional section to help organise the delivery ready for put-away. You can simple create a section, print the barcode and move items into this section. Another core use for manual creation of warehouse sections is if you add a new picking trolley into your warehouse. You can simply create a new section, name it, configure a few parameters such as if items can be picked from it, print the barcode and attach it to your trolly. You can see where manually creating sections comes in handy, but when first setting up your warehouse this would be too time consuming. This is where the ability to create your warehouse map by importing a text file saves hours of time and minimises error. A warehouse import is really simple. Use any spreadsheet tool such as Microsoft Excel or Google Sheets to create a warehouse layout spreadsheet. 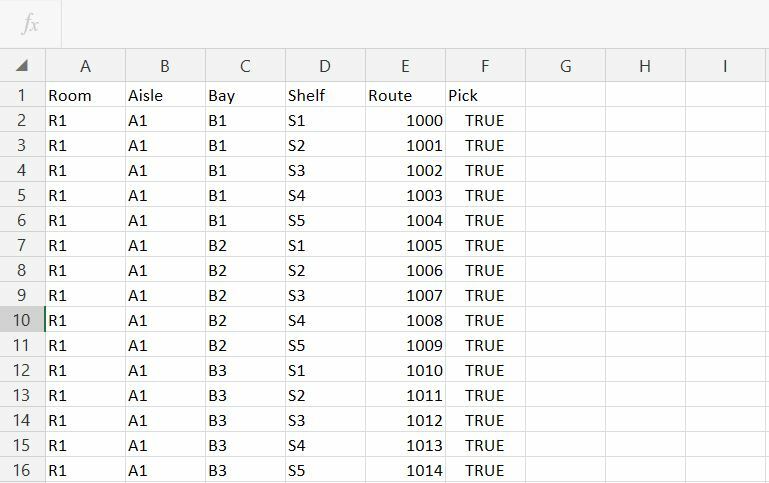 A basic warehouse import spreadsheet needs to contain the warehouse hierarchy, a route and if the section is a Pick section. A place where you can store items in a warehouse is called a section and you can have any number of sections, and sections within sections. For example, a room is a section, in that room you may have a number of aisles that contain bays and shelves, all of which are known as sections. The route is a number that dictates the route a user would travel through the warehouse to locate items. 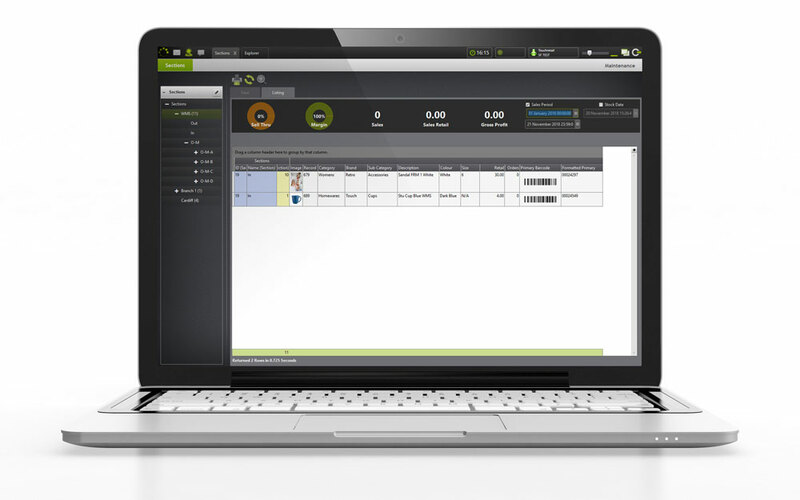 Multiple routes can be configured to accommodate different starting positions. Once you have finished your warehouse planning and your spreadsheet is complete, save the spreadsheet in CSV format, import the file and your warehouse layout is created for you. You can re-import your warehouse to update existing sections if you have made any errors. You can now bulk print warehouse labels for each section and start moving items into your newly created sections straight away. Importing a Warehouse Layout greatly simplifies the warehouse mapping process and is one of the many WMS time-saving features that make up the TRIMS WMS System.